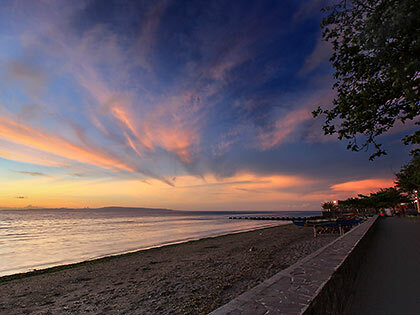 In recent years the town of Mauban in Quezon province has become synonymous with Cagbalete Island, its most popular tourist destination, no doubt. However, this sleepy coastal town is also home to caves, forests and numerous waterfalls. 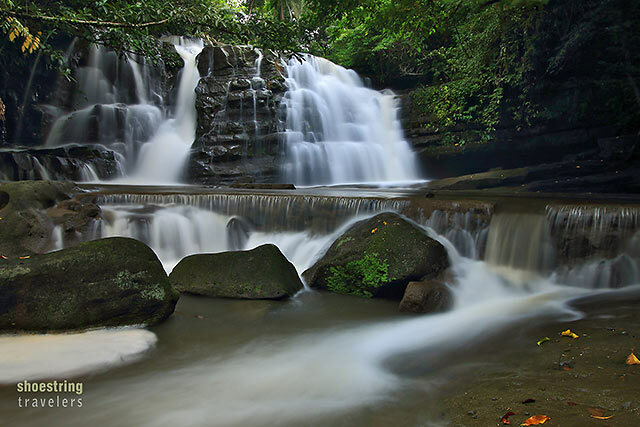 Locals say that there are more than 20 waterfalls in the area, however, only three are accessible for the moment. It was a long drive over 4 provinces and a few stretches of rough road before we finally arrived at a beach we had been thinking of visiting as far back as four years ago when it was way below the tourist radar. It was nearing sundown when we finally got to Cabongaoan Beach (Cabo Beach for short) in Burgos, Pangasinan. Expecting a quiet place we were greeted by loud music, animated conversations and the aroma of grilled sea food. There were several other groups of visitors in Cabongaoan Beach that day  proof that the still-pristine beach was no longer a well-kept secret. 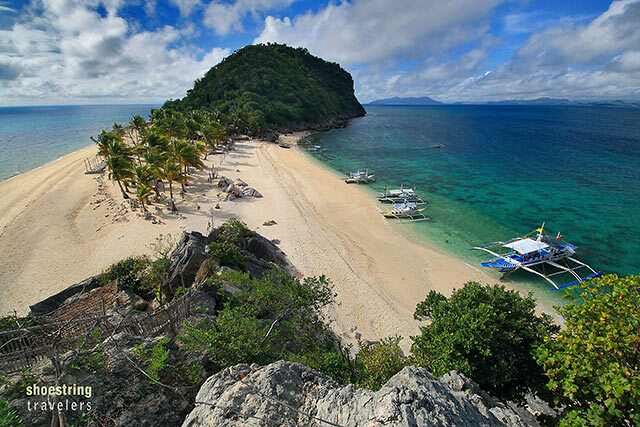 Located in the northeastern corner of Panay Island, the Gigantes Islands have remained practically unknown until around just a few years ago. 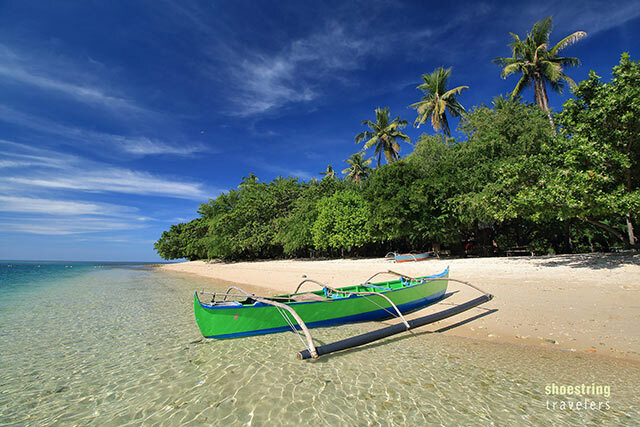 Located off the coastal towns of Carles and Estancia in Iloilo province, these islands were so named because of stories about coffins containing oversized human bones that were found in a cave in one of the islands. 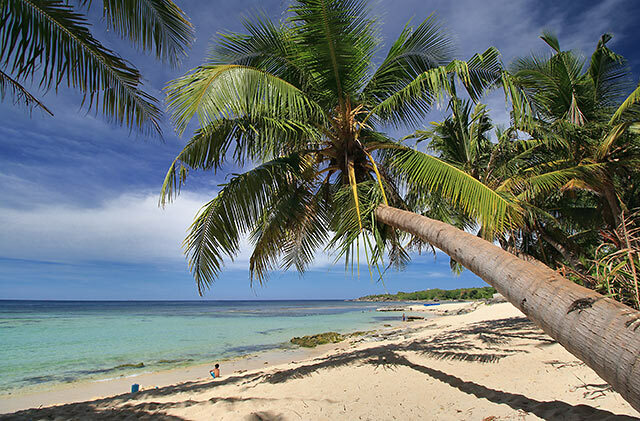 On a recent trip to Dumaguete in Negros Oriental  part of Nina's reunion and time together with her high school classmates  we were debating whether to visit Apo Island or make a return trip to Siquijor. We finally decided against it due to the rough seas and the cloudy skies. 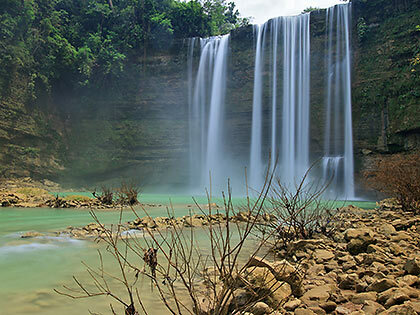 Instead we thought that this would be a good time to finally visit two waterfalls that have been hanging on our tour radars the past few years  the Niludhan Falls in Bayawan City and the Pulangbato Falls in Valencia. Looking across from our docked ferry boat into the blue waters of Lamon Bay we were getting a bit anxious. Dark rain clouds over the horizon and the constant trickle of rain against the boat’s protective canvas sheet seemed like an ominous sign for a 3-day vacation turned into a minor disaster. But it was too late to turn back now. Within minutes it seemed that our worse fears were about to be realized when the boat we were riding was soon bucking against the waves. From the mainland of Zambales, the island looked so near that we thought we could easily cover the distance using a kayak but for the moderately strong waves. And sure enough we had scarcely boarded our motorized outrigger when, within minutes, we were almost on the island. 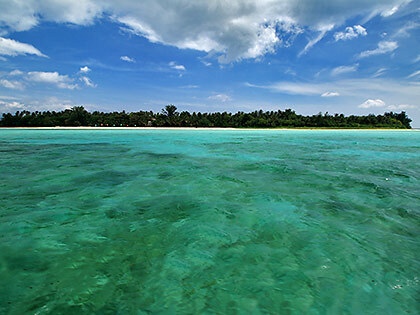 The dark blue sea soon transformed to turquoise green, then to crystal-clear water gently lapping at the soft, fine, creamy white sand as our boat slowly came to a stop on our island destination’s eastern beach. Coming from our lunch stopover and beach bumming stint at Dampalitan Island in Padre Burgos, our outrigger boat made its way around the southern end of Lipata Island towards the southeastern coast of Pagbilao Grande Island. As we sailed along this part of Pagbilao Grande, a long row of beautiful white sand beaches and coves separated from each other by towering rock formations came into view. El Nido has long been associated with the islands at Bacuit Bay including hidden lagoons, white sand beaches and magnificent karst landscape. 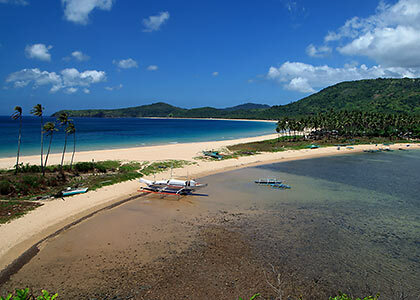 The town itself, located on the main island of Palawan, used to serve only as a launching pad for tours to these islands as well as overnight accommodations for visitors. 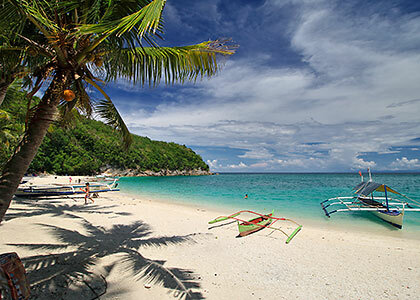 However, in recent years, previously hard-to-access beaches further inland or near El Nido proper have now been getting a share of the spotlight. Hidden lagoons with crystal-clear turquoise waters ringed by imposing karst formations have been the defining picture of El Nido for years now. 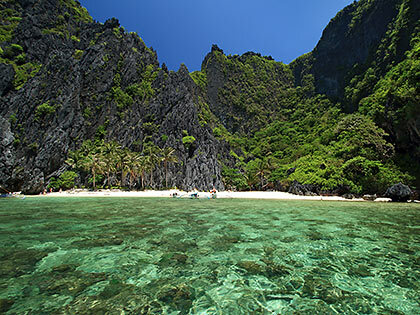 Despite the increasing popularity of other destinations here, most people visit El Nido for island-hopping, and more specifically for touring the lagoons of Miniloc Island. We normally prefer to visit less-known sites but the beauty of El Nido and the allure of these lagoons were simply too irresistible.